Home Page | News | Licensed Again! 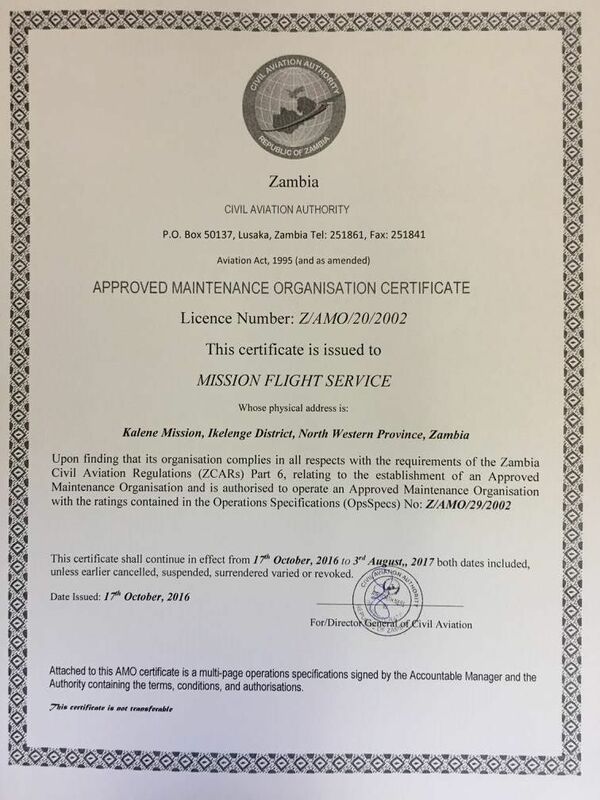 We are grateful to the Lord that our AMO (Aircraft Maintenance Organization) licence has been renewed this week. 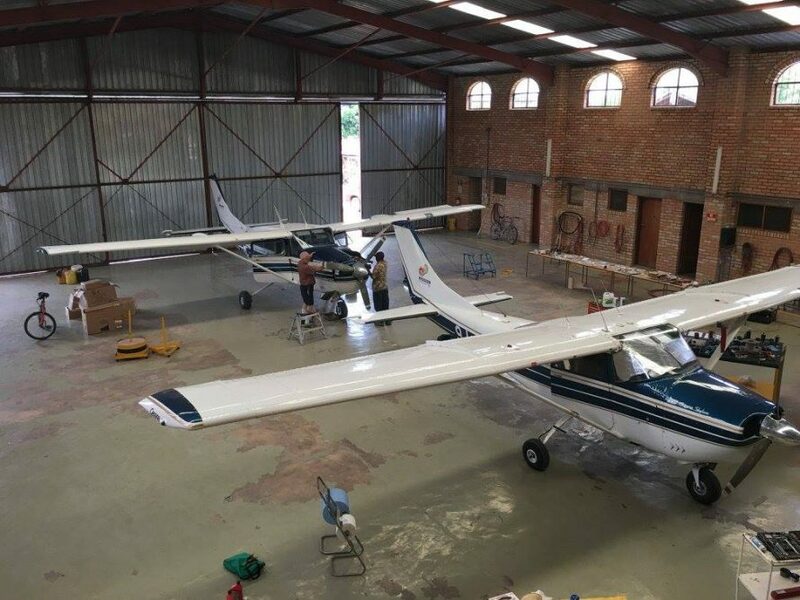 This licence is mandatory to do our maintenance, engine changes and Certificate or Airworthiness on our planes here at Kalene. An inspector was flown from Lusaka, Sept 27th. A detailed inspection was made of our facility and maintenance manuals. He said we are one of the better maintenance facilities in the country. He enjoyed attending our morning Bible reading in our home and later in the Hangar.